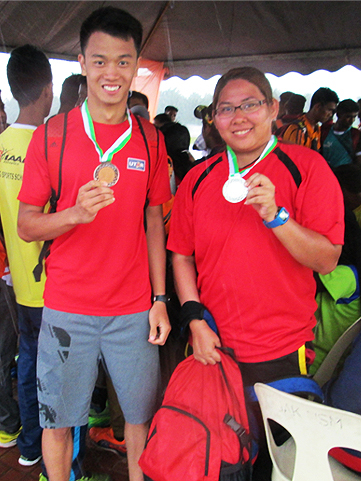 A team of seven UTAR students won three silver medals in the Open Track and Field Championship - Athletics Association of Kerian District 2015 (Kejohanan Balapan dan Padang Persatuan Olahraga Daerah Kerian Terbuka 2015). The tournament was held on 26 April 2015 at Stadium Trek Sintetik, Universiti Sains Malaysia (USM) Engineering Campus Trans Krian Nibong Tebal, Penang. 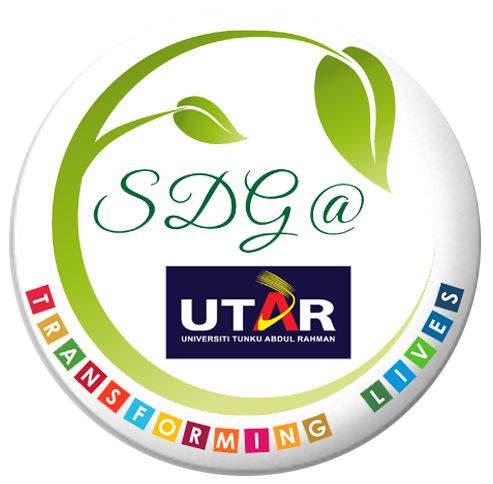 The team was led by UTAR Department of Student Affairs (Sports and Recreation Unit) Assistant Manager S. Theva Das. They participated in seven out of the 30 track and field events, namely, 100m Track, 200m Track, 100m Hurdles, Triple Jump, Long Jump, Shot Put and Javelin Throw. The three silver medals were won by Foundation student Imelda Tan Ler Min, Industrial Engineering student Lee Yong Zhe and Advertising student Cheang Wai Leng in the Long Jump, Triple Jump and Shot Put event respectively. “The experience of taking part in the tournament was very enriching and enlightening. It is an honour to represent UTAR in the tournament. In the past, I have taken part in a few other tournaments and this is my second medal for UTAR so far. I hope to be able to contribute more victories to UTAR in the future,” enthused Cheang. The tournament was a collaboration between Athletics Association of Kerian District (Persatuan Olahraga Daerah Kerian), USM Engineering Campus Trans Krian Nibong Tebal and Kerian District Education Office (Pejabat Pendidikan Daerah Kerian). Aimed at encouraging students’ participation in co-curricular activities, the tournament involved more than 420 student athletes from institutions of higher learning as well as schools.